In terms of technical support, control and design, Kevo is considered excellent. Also, based on experts’ recommendations, convenience and security features of the lock aren’t topnotch but acceptable and good. This lock looks a lot like an ordinary deadbolt: a basic design which is round in shape. When the lock is touched, different colors flashed from the lighted ring surrounding the keyhole: yellow (when the door is locked), red (a rejected unlocking attempt) and green (successful unlock). Touch to Open – when a user get to the door, the lock scans for key fob or smartphone so that it would be unlocked when touched by the user. Please remember that in order to make it more secure, this feature works only for fobs and cellphones outside the home. Mobile app – for permanent unlock ability, two eKeys are provided to family members to put on their smartphones. To obtain more keys, users could buy them through the app. There is also an option to offer eKeys for guests. These could be of any number but they’re only valid for 24 hours. SmartKey – without needing a locksmith, compatible keys could be switched using this tool. It means that old house keys could still be used, in case the lock is converted. Compatiblity – Ring video doorbell, Honeywell and Nest home automation platforms are among the smart devices which are compatible with Kevo. Notifications & history – different user activities are tracked by this smart device. Notifications could be set up so that each time the door is unlocked or locked the user will be alerted. Also, lock history includes items such as disabled or enabled users/eKeys, anyone who sent/accepted eKeys, anyone who unlocked or locked the door. 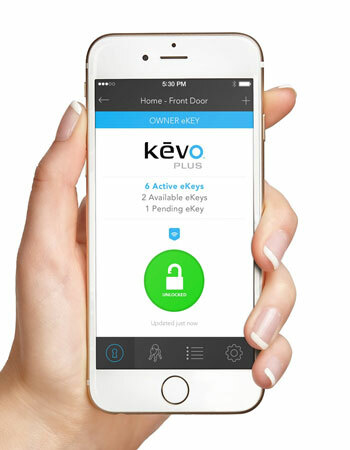 Users could also buy an optional accessory, Kevo Plus, for enabling remote access. One of the great weaknesses of Kevo lock is that it doesn’t offer an option for auto lock. 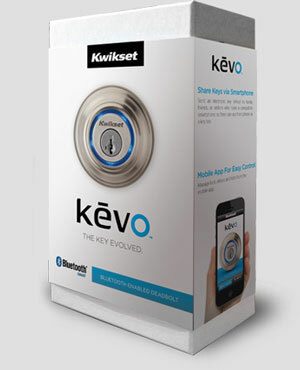 Another disadvantage is when overriding this smart lock with a physical key, it’s not been tracked by Kwikset Kevo. Kevo lock installation is pretty simple. 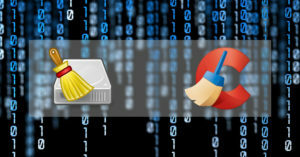 Most users need just a measuring tape and screwdriver to do the job. The lock could be installed on different door sizes. That’s why several sets of hardware could be found with the device. 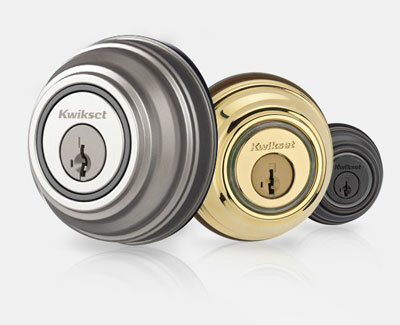 To determine which pieces are required to install the lock, users could visit Kwikset’s website for the helpful video on installation. Most iOS devices (e.g. third-gen iPad, fifth-gen iPod Touch and iPhone 4s or higher versions) are compatible with Kevo. For Android devices the situation is a bit different: the phone should be powered with version 5 or higher of Android, and it should also be equipped with BLE (Bluetooth Low Energy) chips. Again, the company’s website should be checked to make sure if a user’s smartphone is supported by the digital door device. To purchase Kevo smart lock, users could go to Amazon website and select from three options: Venetian Bronze ($169.99), Satin Nickel ($184.93) or Lifetime Polished Brass ($178.99). Please remember that Amazon is only accepting pre-orders now. The lock will be available to ship on August 17, 2016. Other retailers and websites such as Lowe’s, Home Depot and Best Buy could be checked out for ordering details as well. 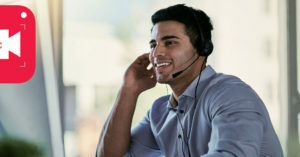 Compared to other smart locks in the market, the customer support provided by Kwikset is among the best, according to experts on products review.